Sweets on offer at Saber’s in Alexandria, Egypt. 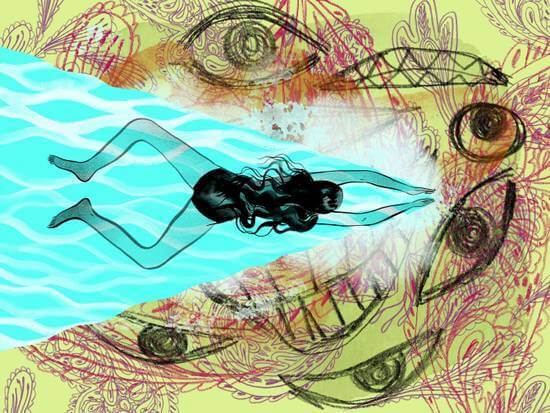 By: Nisren Metwally. If you’ve travelled before then you may have realised that, upon your return, everything you subsequently speak about is somehow related to your travel adventures. Sometimes I feel like I am boring people with the repeated line, “When I was in Egypt…”, but I just can’t keep it in. It’s like word vomit! (That’s a Mean Girls quote, and if you haven’t watched Mean Girls then we can’t be friends and you can’t sit with us). A lot of these lines that I bring up in conversation usually continue with, “I tasted this AMAZING _________”. Anybody who knows me would most definitely know about the love that I have for good food and my adoration of desserts. 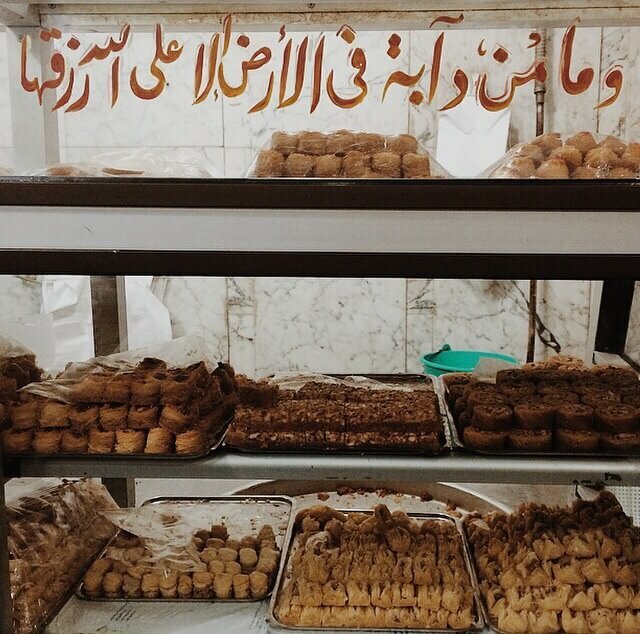 Suffice to say that I was in food heaven on my family trip to Egypt this summer. The stand-out dessert that I have been raving about since I came home to Sydney would have to be rozz be-laban (rice pudding), a traditional dessert that is found in one version or another all around the world. It’s usually a simple dessert based on milk, rice and sugar; not overly extravagant, but delicious and comforting. The dish we tried in Egypt, however – particularly the one from Saber’s Sweets in Alexandria – was an extravagant party in my mouth. Actually, Saber’s can take the ‘Best rozz be-laban’ trophy. Or crown. They have my vote. Let me attempt to put in words the elements of this delectable dessert. Saber’s famous concoction. By: Nisren Metwally. But back to the toppings on that rice pudding! After the generous scoop of mastic ice cream came a log of rich ‘ashta’ – just in case there was not enough of a cream factor happening in this dish. 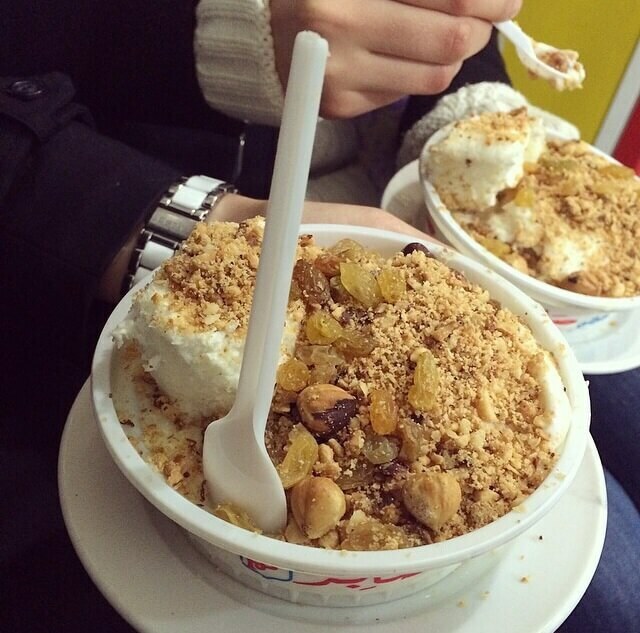 Note that this is not the same ashta that is often featured in Lebanese sweets. Egyptian ashta (or eshta) is thicker and more buttery – and it probably clogs more arteries too. But hey, ‘when on holidays…’, right? The final ingredients are crushed nuts and sweet yellow raisins: the perfect addition to such a dessert. They did skimp a little on the nuts the first time we had this in Egypt, so the second time (and every other time after that) we were sure to request “extra nuts please”. I’ve been making my mother’s rice pudding recipe for years now, but this is the first time I have dressed it up to resemble the one we were served in Egypt and used an actual measuring cup rather than this specific odd mug she often uses for cooking. I’ve also added orange blossom water, which is not typically used to flavour Egyptian desserts. Vanilla or mastic are usually the flavourings of choice, while rose and orange Blossom Waters are more commonly used in the eastern Mediterranean. I personally love both mastic and the floral waters, so I decided to use both in my rice pudding. It is completely up to you to decide which flavouring you want to use. Either way, it will hopefully turn out ridiculously tasty and definitely worth a try. Be warned, though; you’ll be standing over the stove-top for one hour, stirring constantly. I wouldn’t recommend leaving the pot alone for more than ten seconds. You will probably be in dire need of a shower afterwards, but it will all be worth it in the end. When chilled, it’s a perfect summer dessert and in winter it can be eaten warm. Personally, though, I love it cold all year round. So what are you waiting for? Give it a go and thank me later. Servings: Makes around 12-15 small sized bowls. Coconut flakes, peanuts, cinnamon, dried fruits or fruits. Use a heavy-based, non-stick pot. By: Nisren Metwally. Measure and prepare all rice pudding ingredients. Set aside at least 12 small heatproof bowls or ramekins on a tray. In a large, heavy-based, non-stick pot combine milk, washed rice and mastic over high heat and bring to the boil while stirring. I highly recommend using a heat proof silicone spatula. 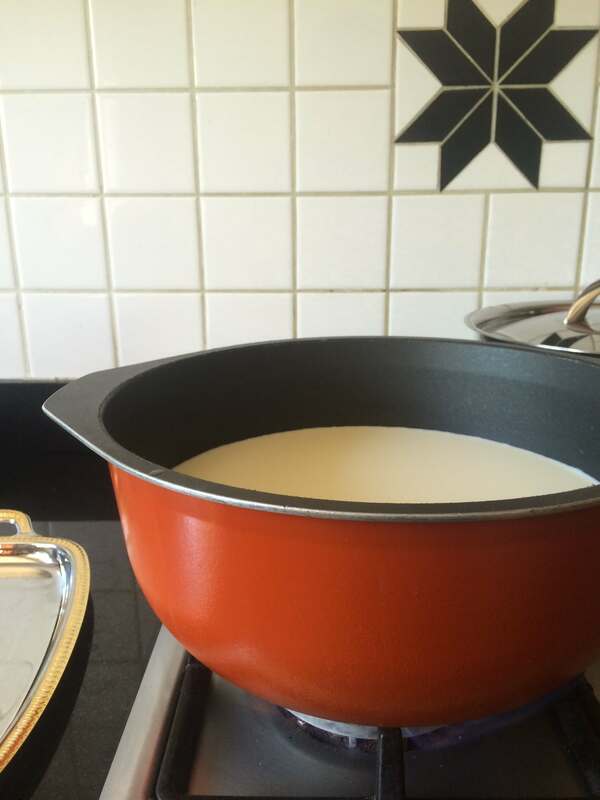 Once milk begins to boil slightly, reduce the heat to prevent milk from frothing over the pot. Continue to stir constantly while scraping the sides and bottom of the pan to ensure that nothing is sticking to and building up in the pot. Continue to stir until the mixture has thickened and reduced substantially. This will take about an hour of mixing and stirring. Be patient. As soon as the pudding has thickened and reduced, remove pot from heat and stir in sugar and orange blossom water well. Using a ladle, carefully scoop rice pudding into prepared bowls and set aside to cool down to room temperature before refrigerating. Puddings may be eaten warm if preferred. 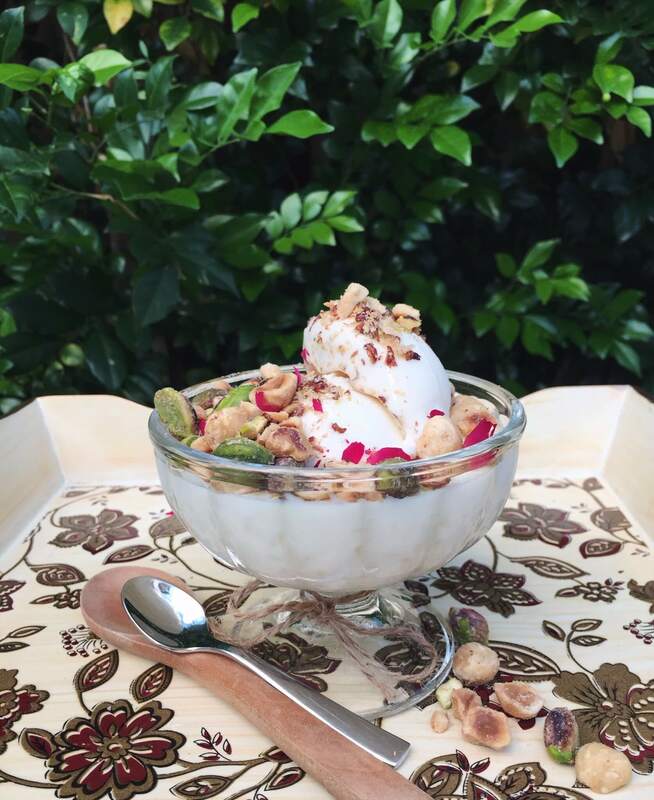 Serve chilled rice pudding with a scoop of ice cream, nuts and raisins or whichever toppings you see fit. Nisren is a 20-year old teaching student and lover of all things edible. Dessert, good coffee, all day breakfasts and travelling are her true loves. She is one half of the sister duo from Instagram’s @onceuponakitchen. Tag her in your creations!